I’ve had a handful of good managers in my career. I consider them good when a manager trusts me to get my work done, cares about me, doesn’t micro-manage, and does their best to advocate for me and provide the resources I need to do my job. Early in my career, I was offered an incredible opportunity to be a branch administrator in Washington DC as the branch transitioned to a new owner, a company based in Vancouver, Canada. It was probably beyond my experience and skills, but the branch manager interviewed me (in a coffee shop, one of the best interviews of my life), hired me on the spot, and generally trusted that I could figure out my role and be successful. In other words, he trusted his instinct that I could make him look good to the new owners. He didn’t micromanage me. He gave me full authority to make decisions, while making sure I knew I could talk to him and ask for guidance at any time. Over the course of about 10 weeks, I negotiated a lease for new, raw office space, 3x larger than the space we were in, worked with an architect to design the interior (layout/offices, paint, carpet, etc. ), negotiated data and phone system installation, and even purchased artwork. When the time came, I organized, coordinated, and managed the move of our employees and the contents of our tiny office space into our new location in about 24 hours, losing only about 4 hours of productivity for those employees. I was 24. It felt like a huge accomplishment, especially because I had never done anything like that before. After I set up and trained staff in A/R, A/P, payroll, benefits, and basic processes and procedures of the new company, I settled into my position… and promptly got bored. Six months after the move, my boss saw the minor mistakes I was making, called me into his office, and asked me about them. I honestly didn’t know how to answer him, so I got defensive. He figured it out before I did, thank goodness, and within a few weeks, he hired a new branch administrator and transitioned me into a junior consultant role. I enjoyed every client site I worked on, moved around enough to keep me interested and constantly learning, and was appreciated and valued by our clients. But I still hadn’t figured out exactly what my unique skill sets were, so I simply moved between tasks, learned a lot about everything I touched, and moved on again. Thank goodness I had a boss who basically understood me, so I could learn and grow in that position. What incredible opportunities I had, despite my age and lack of experience! What if my boss had a tool back then so he could coach me, mentor me, to guide me in the direction of applying my unique strengths to a specific role? I made him look good because he gave me the tools and challenges I needed to succeed, but how much better could I have made him look if he had the ability to see into my future and guide me to my best self, using my natural talents? I’m not one to look back with regret; I look back because I love to learn lessons from my experiences, and apply them to help others. So when I look back at that time, I am grateful for what Melvin Sassoon did so early in my career. He trusted me and saw skills in me that I didn’t know were there. I also look back and think about what we both could have done differently to have different, even better outcomes. What if you had a tool that would transform your relationship with your employees from manager to mentor or coach? What if you had a language to speak that would help your employees understand their role and value in your company, and would help them understand their own strengths and how to apply them to be more productive and happier at work? You can even begin with selfish intentions: When your employees are successful, productive, effective and happy, they can make YOU look REALLY good. The end result is that you will find more satisfaction in your relationships at work, even if you don’t start with that intention. It would be almost impossible for you not to improve on your success, leaning into that style of management. There are tools to help you mentor and coach your employees to bring their best selves, their greatest talents to work. The difference in the tools is simply how you manage to apply them to improve communication. I could have focused my attention on a number of assessments and tools to help me in my communication coaching; StrengthsFinders is simply my tool of choice because I find the concept to be so positive and easily applied to the workplace. Whatever assessment you use - whatever tool you use to help uncover the natural talents of your employees, take the time to coach them to apply those talents to their role in your organization. Think about your own career, and how it could have benefited from having a manager who truly understood your strengths, and could have helped guide you to lean into them and use them in every aspect of your life. Those strengths don’t always show up in positive ways, especially in relationships with people who have very similar strengths, and those who are on the opposite end of the spectrum. It’s as if you’re speaking different languages when interacting with people with different strengths. When you coach with a tool like StrengthsFinders, you can help your employee understand every aspect of their talents, and how those can be negatively perceived by the people around them. In time, that employee will start to be more self-reflective, and will be able to adjust how they present their strengths to others, basically finding ways to get out of their own way (their heads), and move past obstacles. And when they truly understand their natural talents, their career will gravitate to roles that they will find great success and satisfaction. At that early stage in my career, if my boss had access to a tool like StrengthsFinders, and understood how to use it, it’s likely he would have steered me in the direction of sales for the company. I love people, and I love to share information and tools that help people improve their daily lives. My natural, unique talents would have made me an excellent sales person in that industry, with just a bit of training and guidance. Who really knows what might have happened? I could fill my days with alternative futures based on those “what if” questions. What matters at this point is that I now understand how my natural strengths have helped make me successful in the past, and how they’ve created obstacles when I haven’t known how I was being perceived by the people around me. I also know how I can apply them to improve my future, and the lives of the people I have the honor of working with. If you had a tool to help transform your relationship with your employees from manager to coach, would you use it? When you coach your employees, rather than manage them, when you understand their strengths and what motivates them, your relationship improves. If you can coach your employees by helping them apply their strengths to their role, and encourage them by acknowledging their work, they can make you look really good. And when you micromanage your employees, undermine their confidence and trust, withhold information, and allow whatever insecurities you have to impact your behavior, knowing you’re somehow threatened by their competence, you make it absolutely impossible for them to make you look good. You make it absolutely impossible for them to do their job well, and to make you look good. Whatever tool you use, make sure you understand your employee’s strengths and what motivates them, and help them apply their strengths so they succeed. Because when your employees are empowered to learn, grow, and improve, they’ll make YOU look GOOD. Will You Disrupt Yourself? Or Will You Be Disrupted? 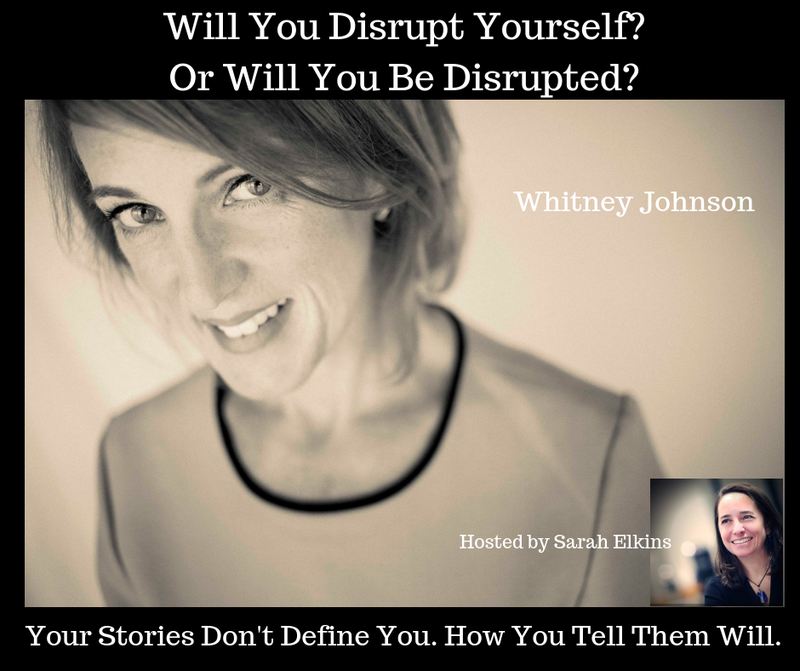 Whitney Johnson knew she found something really useful in the book she was reading, The Innovator’s Dilemma, but she had no idea that it would change her perspective about her career and life trajectory. She was in the middle of a major project, doing research on disruption in the telecom industry when she realized that the description of disruption as a business concept could easily be applied to personal growth and career. That seed turned into a full sized tree over the next few years as she started to consider all the other traditionally labeled business concepts that could be applied to career and personal growth. The beauty of those concepts is that they could help not only explain where we are in terms of learning and development in a job, they could help people create a visual representation to help people apply those concepts to ultimately improve their productivity and engagement at work. In our conversation, I discovered two things about Whitney that surprised me: She didn’t cook until recently, choosing to avoid the connection between “women’s work” and her professional image, and she is a musician. She is a classically trained pianist, but had given up piano after completing her music degree. Even more interesting to me than learning those things was learning that she had taken both up in the recent past, learning to cook (and enjoy it), and coming back to the piano through the discovery of a love and connection to Gospel music. I had to mention my love for Gospel and Spiritual music, of course. I’m not a Christian, but I get chills up my spine when I hear people perform this music with passion and a depth of spirituality. Our conversation took some wonderful twists and turns, from our relationships with our mothers and children, to career challenges related to boredom and a lack of dopamine boosts from learning something new. One of my favorite parts of this conversation was an “ah ha” moment related to the challenges of parenting adult children, and trying to avoid letting our “advice monster” out in conversations with them. To me, the most important concept in our conversation was that our brains crave learning new things. When we aren’t exploring something new, whatever that may mean, we are likely to find unproductive activities to satisfy that craving. Have you found yourself in a job that isn’t satisfying, and suddenly either you’ve been let go, or you notice more drama going on in your personal life? 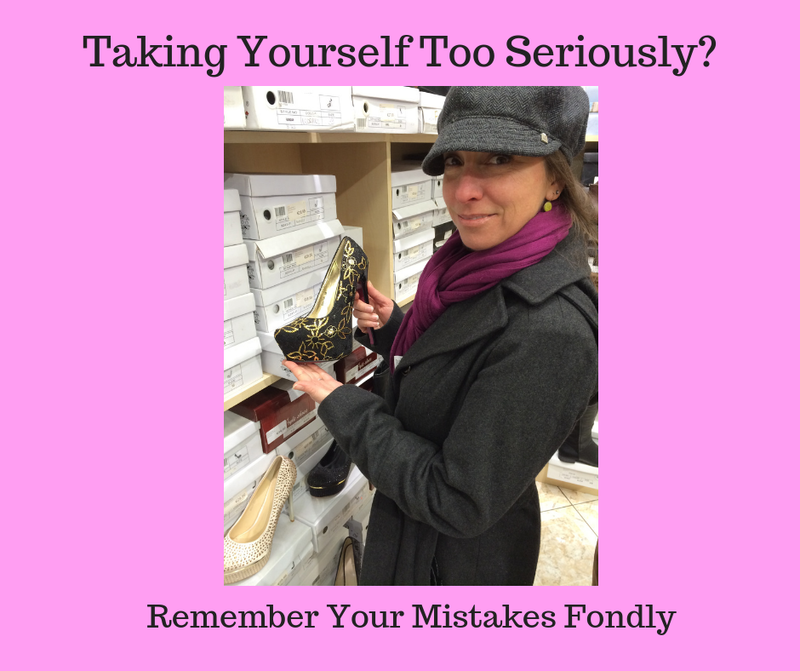 Whitney and I shared a theory that when we aren’t actively learning and satisfying our brain’s craving, we often sabotage ourselves in different areas of our lives. In her book, Disrupt Yourself, Whitney spends time exploring the S-curve (typically used to describe a business’s growth) as a visual representation of skill-building or the learning curve of a new job or career. When we reach the top of the S, we hit a plateau and either stay there for a while, or we jump onto a different S, usually having to start at the bottom again. Because of our human need to learn new things, when we sit on top of that S-curve too long, we tend to get bored. In my case, that’s when I sabotage relationships and jobs. In Whitney’s case, that’s when she takes on new or renewed interest in creative outlets. It was a pleasure to spend time with Whitney after more than five years of conversing through email and on LinkedIn. She was a major source of inspiration for me when I started blogging, and I couldn’t be more grateful for the opportunities she offered when she published one of my first posts on her website, and a follow up post a few years later. In addition to her work as a speaker and advisor, Whitney is one of Marshall Goldsmith's original cohort of 25 for the #100 Coaches Project, is a coach for Harvard Business School's Executive Education program, frequent contributor to the Harvard Business Review, is a Linkedin influencer, and hosts the weekly Disrupt Yourself Podcast. You can follow her on Twitter at @johnsonwhitney. He was driving a new, fancy car, living in a beautiful apartment, wearing expensive clothes, and living a life he considered pretty luxurious. So why was he sinking?